Nations of the world are making a united effort to stop global warming. 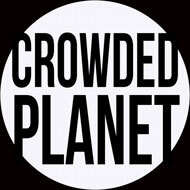 They have agreed to take action to reduce their use of CO2-producing fossil fuels. Since the fossil fuel industry has great influence, and since we depend on fossil fuels for just about everything, cuts will be gradual. In many countries, CO2 production increased into 2016. In 2017, total global production may begin to decline. Global average temperature has risen a little more than .8 degrees Celsius since the late 1800’s. Most countries have agreed to hold temperature rise below two degrees. 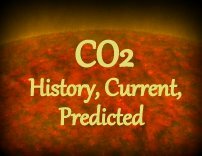 However, the current scientific consensus is that the CO2 and other greenhouse gasses already in the atmosphere will take the global average above 2 degrees. Climate scientists believe that without immediate major cutbacks, global average temperature will rise by 4 degrees, creating what some are calling “hell on earth.” They further warn that with the proposed gradual cutbacks agreed to by most countries, global average temperature will rise by at least 6 degrees this century. No longer just hell on earth, by 2100, 83 years from now, much of the planet will simply be uninhabitable. Between now and then, extreme heatwaves, increased sea level, and massive storms will force hundreds of millions of people to flee their homes. Half of all wildlife species will disappear. Wars over food and water will spread around the world. The first symptoms of what’s coming have already begun appearing. We can hope that climate scientists are wrong, but what if they aren’t. They base their projections on evidence from weather-station records, annual growth rings in trees, layering in ice cores, and more. Even if the predicted climate changes sound extreme, the predictions are from such reputable sources that prudence requires that we take them seriously. We must take steps to insure we never see hell on earth. We need to make immediate drastic cutbacks in greenhouse gas emissions… Proclaiming and leading necessary social and economic changes requires bold actions that exceed anything you might have anticipated when you sought public office. However, we need you to take the lead now. You will lose support from fossil fuel companies, but I am certain you will be pleased with the broad public support you will gain. Please help.